A respected, long-time Republican strategist, ad-maker, and contributor for The Daily Beast, skewers the disease that is destroying the conservative movement and burning down the GOP: Trumpism. Rick Wilson is a seasoned Republican political strategist and infamous negative ad-maker. His regular column with The Daily Beast is a must-read in the political community. Published in The Washington Post, Politico, The Hill, The Federalist, Independent Journal Review, he’s also a frequent guest on Real Time with Bill Maher, CNN, MSNBC, NPR, With Friends Like These, and the national networks. 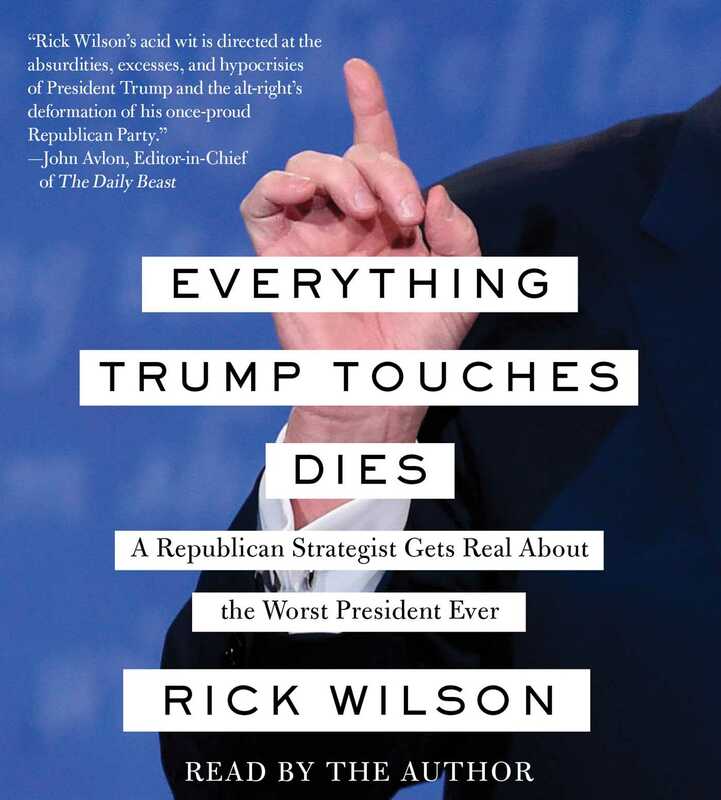 The author of Everything Trump Touches Dies, Rick Wilson lives in Tallahassee, Florida with his wife, four dogs, and a nameless cat. They have two grown children.